This family wanted extra living space, plus a guest bedroom for guests when they come to visit. With a minimum of fuss, we have a large, open, flexible room in the basement with an added bedroom. Egress windows bring in light as well as provide exits if needed. 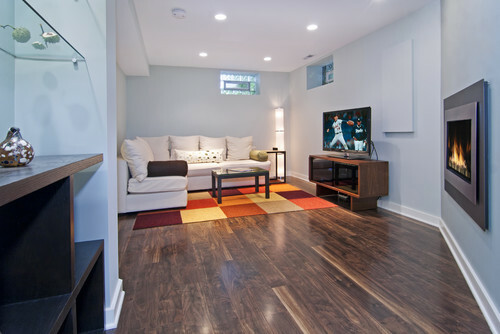 Cardea Construction was the basement contractor, remodeling the basement and enhancing the living space in this home. Depressed when you look at the cinderblock walls at the bottom of the basement stairs? Cardea Construction Company, your basement renewal contractor, has been in business in Ann Arbor for over 30 years. We can help make your ideas into a reality. All this heat got you thinking about how cool your basement is?????? Consider remodeling it and make it usable and useful extra space for you and your family to enjoy.